A study by Oxford researchers in the journal, Ambio, has concluded that nature conservationists has yet to exploit the full potential of apps in capturing the public imagination. The study says apps could transform the way in which the public can appreciate, use, and conserve wild places, animals and plants. However, it concludes that, to date, few of them are realising the potential of technology to create imaginative products. The ‘holy grail’ of nature-based apps would be one that could identify a bird call or animal noises, says the study, suggesting could really excite people about ecology and even help scientists to classify and assess the health of the natural world. The researchers analysed nature-themed apps on the Google Play store five years after the launch of the Android market in 2009. They retrieved 6,300 nature-themed apps, a ‘tiny’ fraction of over one million available apps, says the study. It found that the vast majority of nature-themed apps were personalisation apps (41%), such as wallpapers and ring-tones, and games (37%). There were substantial numbers of books and reference apps (19%) and apps for nature-based recreation (12%), such as hunting, fishing and birding. Only 3.9% were apps for visitor attractions, such as parks, zoos, museums, aquariums, botanical gardens; and even a smaller proportion of 0.5% were for citizen science projects. Most apps were relatively simple add-ons, such as incorporating audio song files into bird field guides or transferring traditional nature book formats to a mobile digital version, according to the study. Gaming apps are the top growing category in worldwide mobile app sales development, and the study highlights the success of franchises like Angry Birds or Flappy Bird as illustrations of the popularity of animations containing animals. The most down-loaded nature-related game apps were found to be those that replicated hunting experiences, such as Deerhunter 3D, where players gain points for killing or catching animated animals. From a conservation perspective, the study highlights a ‘stand-out’ game app, Tree Planet, developed by a Korean company, which challenges players to plant and nurture a tree. Players who reach a high enough level are offered the opportunity to have a real tree planted on a reforestation site. Apps relating to visits to nature attractions and nature-based pursuits were found to show the greatest functionality and innovation. These frequently integrate the smartphones GPS and compass functionality with map caching to support navigation, record observations and send alerts of interesting sightings to other users. Several hunting apps even feature audio lures to attract games species and 3D landscape visualisations of the locations of other hunters. London’s Kew Gardens was found to be one of the few apps associated with visiting attractions that provided augmented reality interpretation of the exhibits. Out of 755 nature-based recreational apps, 219 had the ability to log sightings, but only 25 had the facility to upload these to biodiversity monitoring schemes. Surprisingly, only 17 of 33 citizen science project apps had this functionality, although most citizen science apps focused on recording target species or diseases. The citizen science app with the most functionality was found to be iBat (Indicators Bats Programme for the Zoological Society of London) and New Forest Cicada Hunt (University of Southampton), which integrates crowd sourcing, sensor capabilities, and super computer power. The study adds that online citizen science projects run by Zooniverse (with its headquarters at Oxford University) enlists and engages thousands of volunteers in classifying, extracting and discussing visually reproduced data, such as images of the galaxy in the Galaxy Zoo project. 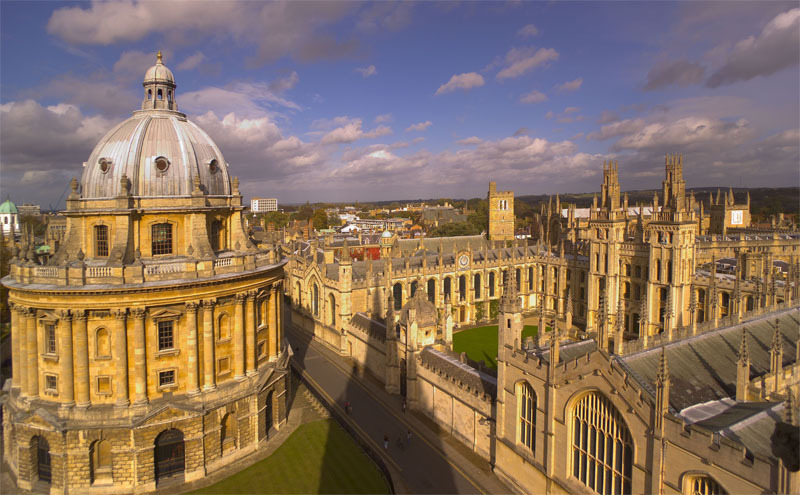 For more information or to interview Dr Jepson, contact the University of Oxford News Office on +44 (0)1865 280534 or email: news.office@admin.ox.ac.uk.